A really bad experience ! It really pains me to write this review since I was very excited to place the order for my favourite food i.e. 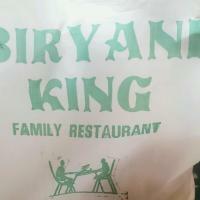 Biryani. So I ordered a Hyderabadi special Mutton Biryani through food panda which is priced at 269 bucks which is not at all cheap by any stature of imagination but what followed was cheap behaviour indeed. The quantity of Biryani is sufficient for one person and the salan that accompanies is downright terrible to be honest, tastes more like the south indian rasam. 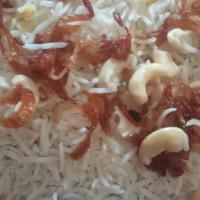 As I opened the packing, the Biryani was topped with cashews and brown onions which is always a good sign. 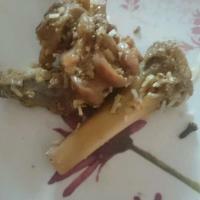 I immediately tasted a chunk of rice with a piece of mutton and it did taste very different and good from what I have recently tasted in the name of Biryani but my excitement was shortlived. 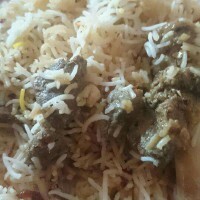 The topmost layer of rice was all white rice which is the norm usually however what is not the norm is almost lack of masaala rice beneath the top layer which made the overall Biryani very very bland. However wth when I have paid you in full this time why should I wait for the next time but the guy just wasn’t interested in replacing this and kept making excuses. Eventually I had to be content with what was on offer and calling Foodpanda meant waiting for another hour atleast and I was damn hungry. Out of the mutton pieces only two qualified as alright, rest three were just chunks of bones and I was really frustrated but I just thought that it was probably not my day. I wanted to rate them negative but since that option is not provided in Zomato and secondly I can sense that if that Biryani had a fair mix of masaala rice and decent mutton pieces it could may have been an above average preparation. However that was not to happen and I was left feeling cheated and I wish the guy at the counter “Mr.Ganesh” was more proactive to handle the situation.